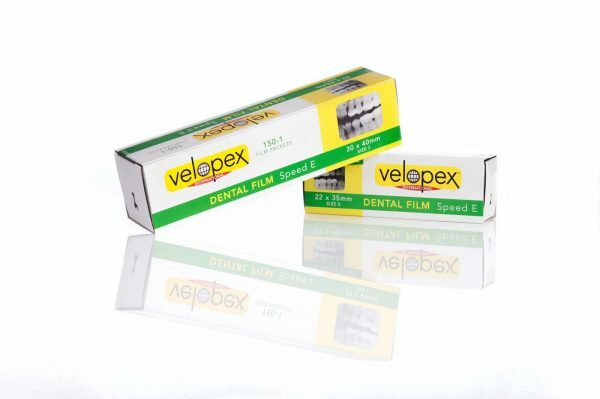 Velopex Dental Intra-Oral Film is a double-emulsion high-speed non-screen X-ray film with high contrast and fine grain that provides high image quality and outstanding detail definition when used in the Velopex processors or other automatic processors. The film is intended for direct-exposure routine intraoral radiographs. Velopex E is a double-emulsion high-speed non-screen X-ray film (ISO Class E) with high contrast and fine grain that provides high image quality and outstanding detail definition. The film is intended for direct-exposure routine intraoral radiographs. 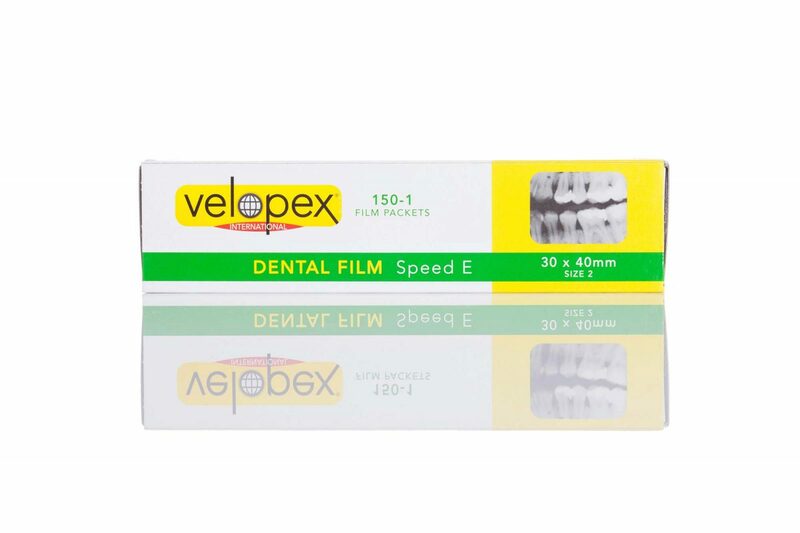 The high speed of the film enables reduction of the X-ray dose of 30% in comparison with the dental films of D class, which complies with the world-wide policy of patients’ protection. Modern appliances correct exposure times as well as dose values (impulses). 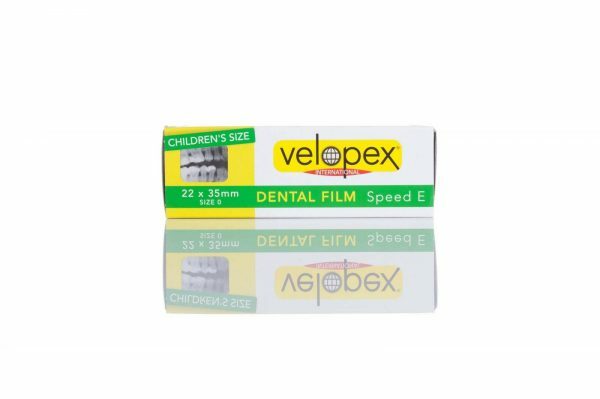 Velopex E is coated on a dimensionally-stable bluish 0.175 mm thick polyester film base. 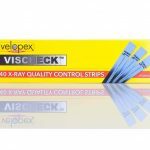 The film has protective and antistatic layers on both sides, preserving the film against mechanical damage and eliminating the static charge. The high speed of the film enables to reduce the X-ray dose of 30 % in comparison with the dental films of D class, which complies with a world-wide tendency for patients’ protection.The used appliances enable to correct exposure times as well as dose values (impulses). 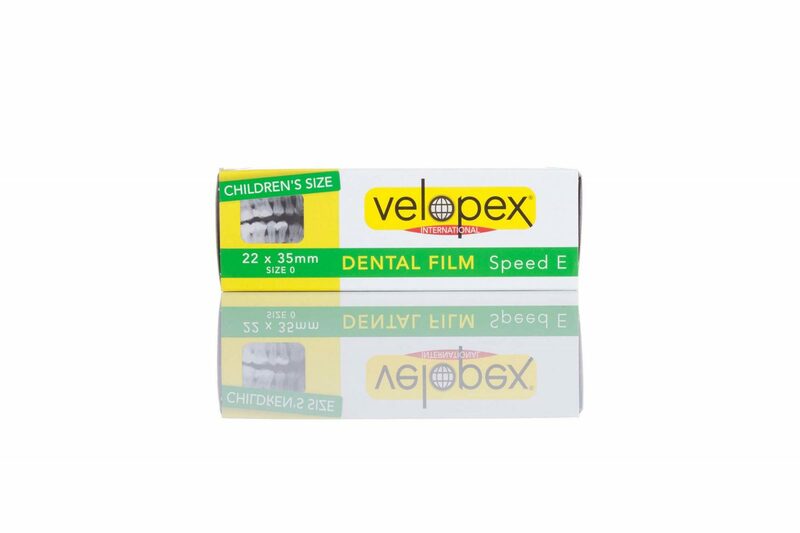 Velopex E is coated on a dimensionally-stable bluish 0.175 mm thick polyester film base. The film is provided, on both sides, with protective and antistatic layers preserving the film against mechanical damages and eliminating the static charge. Each sheet of film is enclosed in a light-tight plastic envelope. 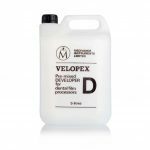 This soft and hygienic packing protects the patient, facilitates manipulation with the film and enables disinfecting the cover with common disinfectants. Every film packet is protected with a lead sheet on the side opposite to radiation source (marked as back-side on the packet). Each film is provided with an embossed dot located near the edge of the film that serves as an identificator of the radiation side on the processed film. Its raised portion indicates the side facing the radiation source.